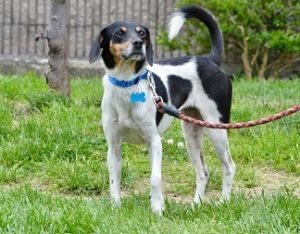 PRECIOUS came to Last Hope from a Kentucky shelter as a very skinny Fox Terrier/Beagle mix. She loves the attention (and extra feedings) she gets at Last Hope. 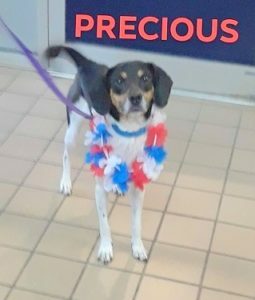 She is thinner than a Beagle, about 4-5 years old and would truly appreciate the love and devotion a real home would bring her.